One Aldwych partnered with Spanish restaurant Azurmendi to launch an informal dining venue in the hotel. Eneko at One Aldwych showcases chef Eneko Atxa's interpretation of rustic Basque cuisine in a relaxed environment. Eneko at One Aldwych, One Aldwych, 1 Aldwych, London WC2B 4BZ, 020-7300 0300. 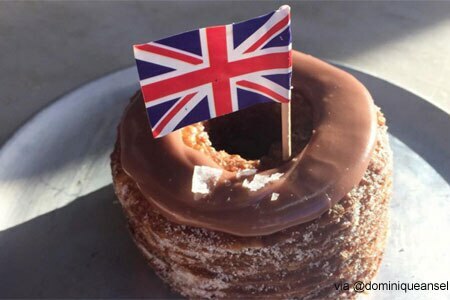 Dominique Ansel, chef/owner of Dominique Ansel Bakery in New York, has opened a location of Dominique Ansel Bakery in London. Patrons routinely line up for his invention the "cronut," a half croissant-half doughnut. Dominique Ansel Bakery, 17-21 Elizabeth St., London SW1W 9RP, 020-7324 7705. Japanese-born chef Yu Sugimoto has taken over the kitchen at The Square. Former chef and co-owner Philip Howard left to open a new restaurant. The Square, 6-10 Bruton St., London W1J 6PU, 020-7495 7100.